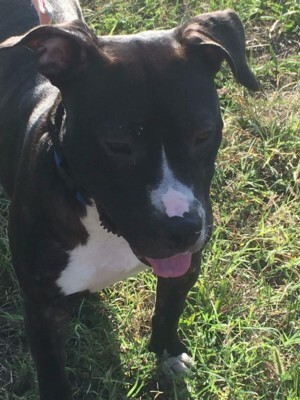 Home arrow_forwardFeatured Animal Rescue Transportarrow_forwardDo you know what the name Loretta means? Do you know what the name Loretta means? Victory and honor. Our transport of the week exhibits just that! Meet Loretta, a two year old, 40 pound terrier mix. Loretta arrived in her local animal control in March, 2016. She was in pretty rough shape and was in isolation for quite a while to heal. While Loretta was in the shelter, they say she was a quiet, black dog, yet she was always overlooked on the adoption floor. Considering her life before the shelter, Loretta was very scared of everything that came her way. With each day passing and people passing by, Loretta ended up on the euthanization list. 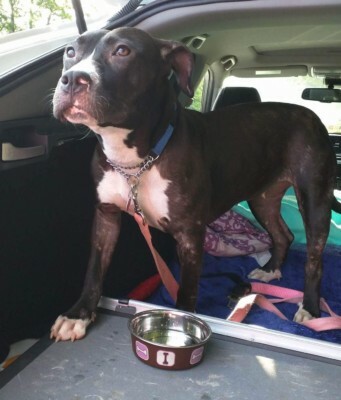 Red Rock Rescue in Effort, Pennsylvania agreed to save her. Red Rock Rescue’s goal is to assist domesticated pet owners who are going through a crisis with referrals and resources. Loretta was originally supposed to be on a transport the weekend of September, 3, but there was an incoming hurricane making its way along her route. Due to the bad weather, her transport was delayed for a week, to make sure all volunteers and Loretta would be safe. Traveling over 850 miles, from Newnan, Georgia to Effort, Pennsylvania, in just two days, she made it to her new rescue safe and sound. Loretta was more than excited to arrive and even met the other rescues with a wagging tail! Loretta had the ultimate victory in making it to her new rescue and the chance to start a new life, living up to her name. Thanks to Rescue Transport USA, Loretta made it safely to her new rescue and is ready to find her forever home. Rescue Transport USA’s main mission is to help animals move from high kill shelters to their forever homes or rescues. To learn more about Rescue Transport USA, click here. Watch her story below! Has Loretta been adopted yet? Hi Lori! Let me check on that for you!